In another bowl, beat the egg yolks and add the grated zucchini, coconut flour, mint, baking powder, garlic powder, salt and pepper. Stir thoroughly. Bake for 15 minutes until firm. Whilst the roulade is baking make the filling by blending the cream cheese and feta together until it’s smooth. I use a spoon to beat the mixture. Add the red pepper and mix until combined. Once the roulade is baked, place it onto a parchment sheet on the kitchen counter. Allow to cool for about 2-3 minutes as you don’t want to burn your hands rolling it, nor want the filling to melt and ooze out when you roll it up. Remove the top layer of parchment paper (the one that was used during cooking). Spread the filling evenly across the roulade. It can be a bit rough as it will even out during rolling. 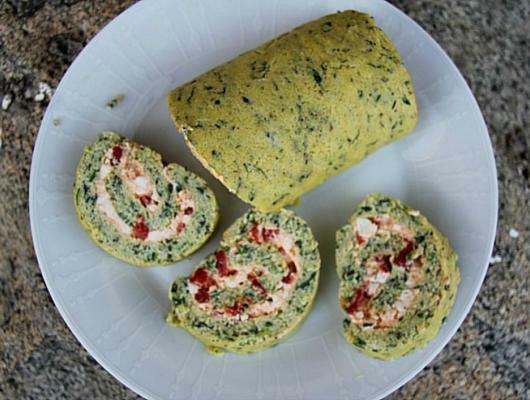 A zucchini roulade that makes a great vegetarian centre stage dish. 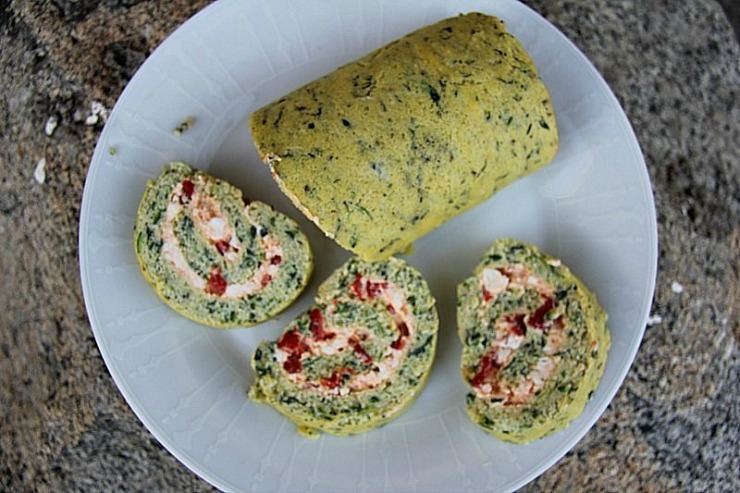 With a creamy filling of feta cheese and grilled red pepper this is great warm or cold.